Home Entertainment Movies PIX: What were Malaika, Nushrat up to? PIX: What were Malaika, Nushrat up to? 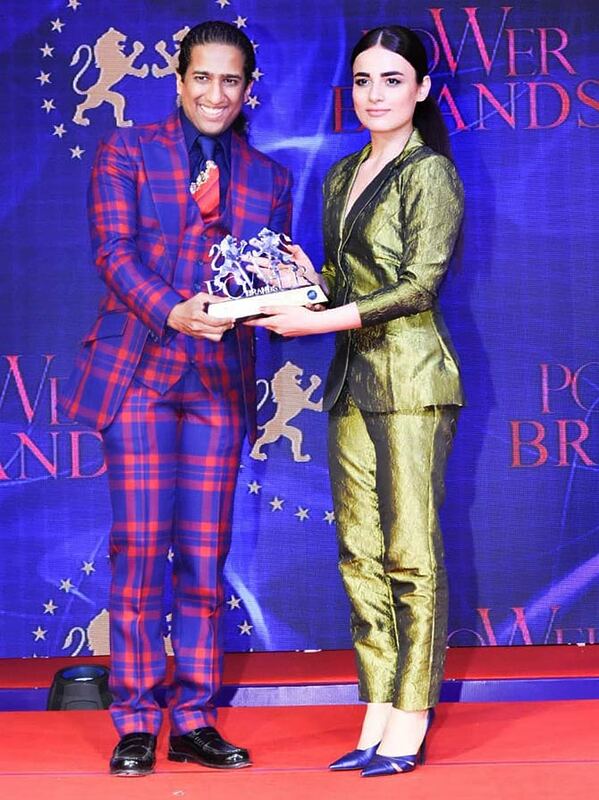 Yet another awards night in Bollywood! 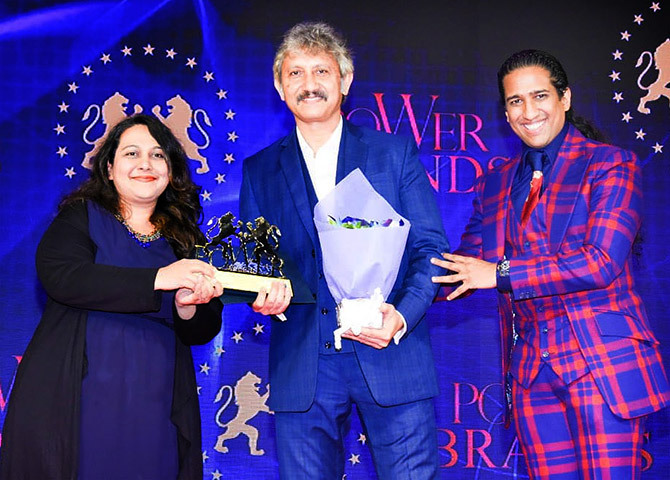 The 2019 Power Brands-Bollywood Film Journalist's Awards were organised by Planman Motion Pictures on February 12 at Mumbai's Novotel hotel. 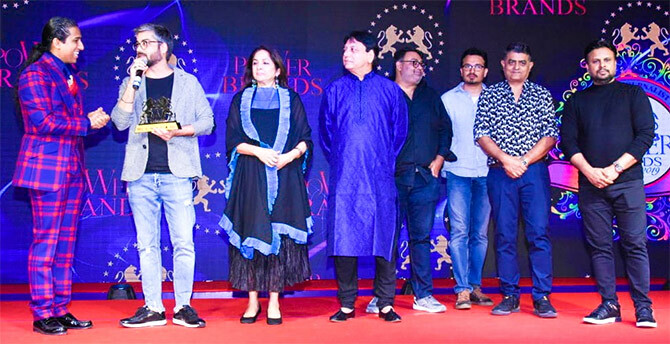 Badhaai Ho walked away with seven awards, including Best Film. 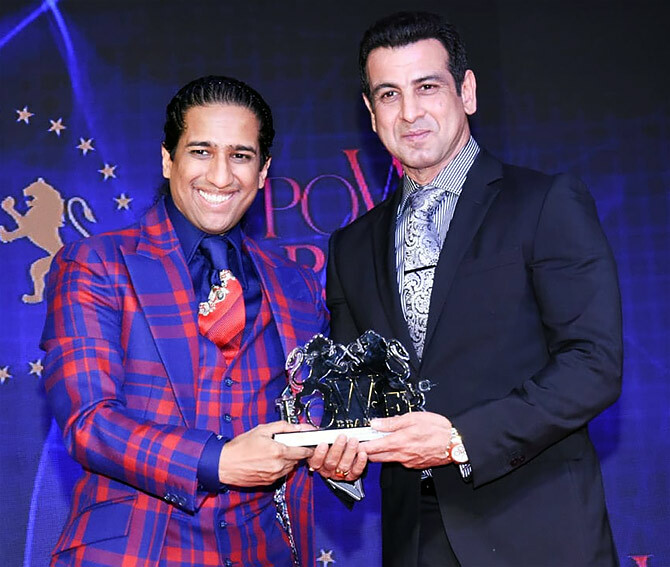 Andhadhun and Tummbad won six awards each. 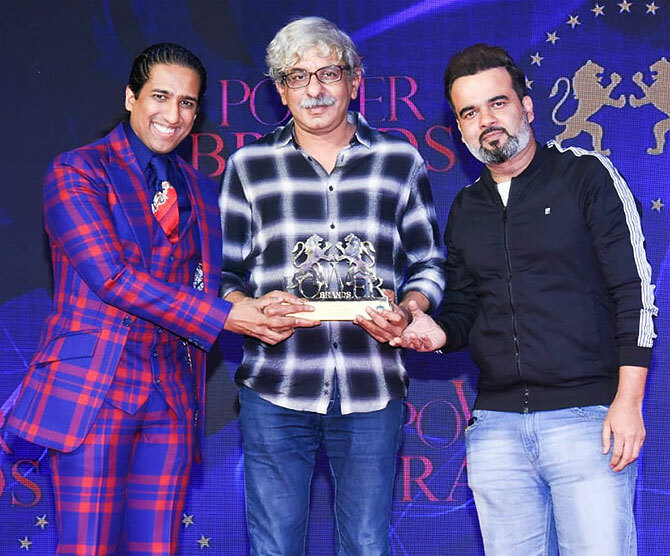 Andhadhun also won Sriram Raghavan the Best Director award. 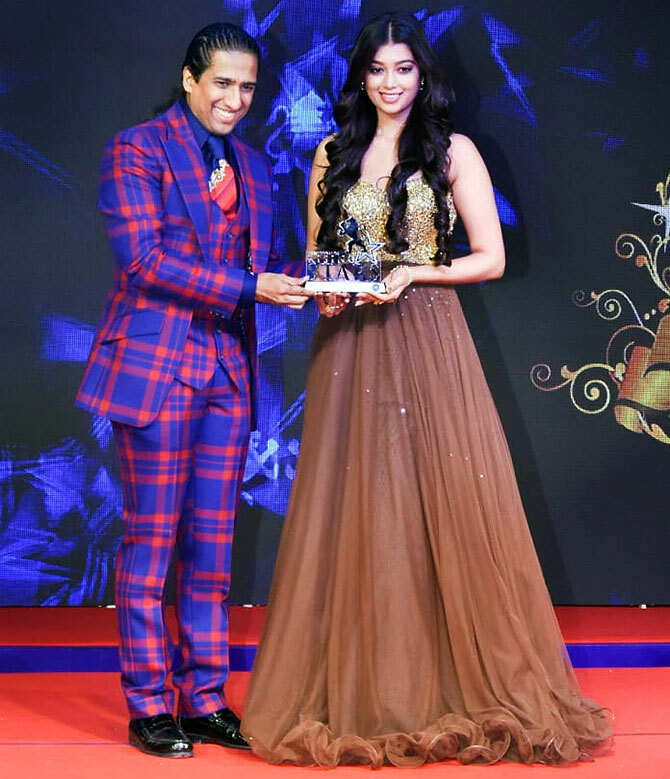 Malaika Arora won the special Power Brand Fashion Icon award. 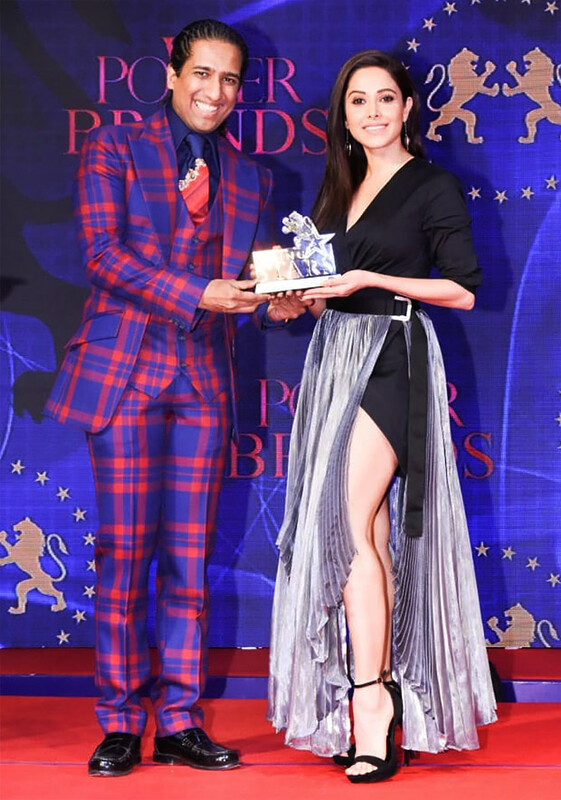 Arindam Chaudhuri with Nushrat Bharucha. 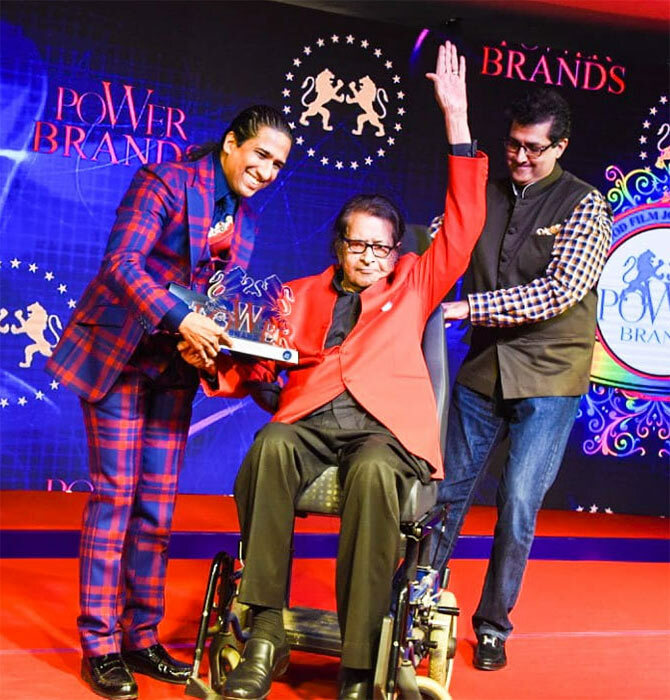 Manoj Kumar received the Lifetime Achievement award. 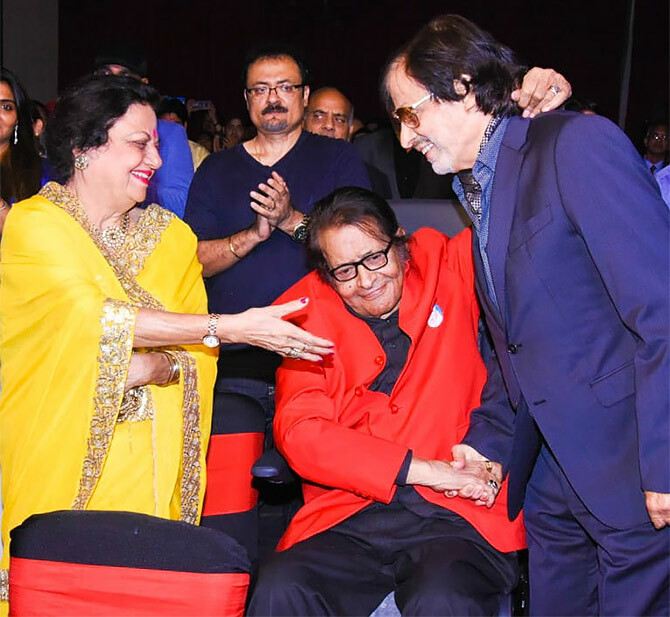 Sanjay Khan greets Manoj Kumar and his wife, Shashi. Sanjay Khan won an award for his autobiography. 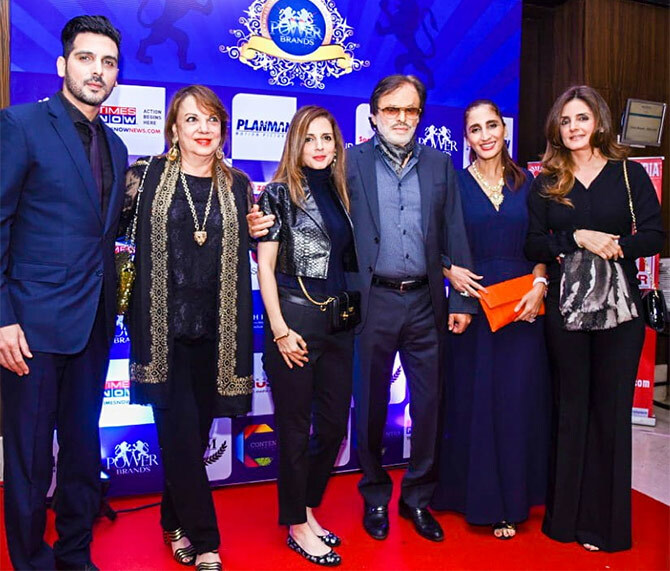 His wife Zarine Khan and his children — Zayed Khan, Sussanne Khan, Farah Ali Khan and Simone Arora — were there to cheer him on. 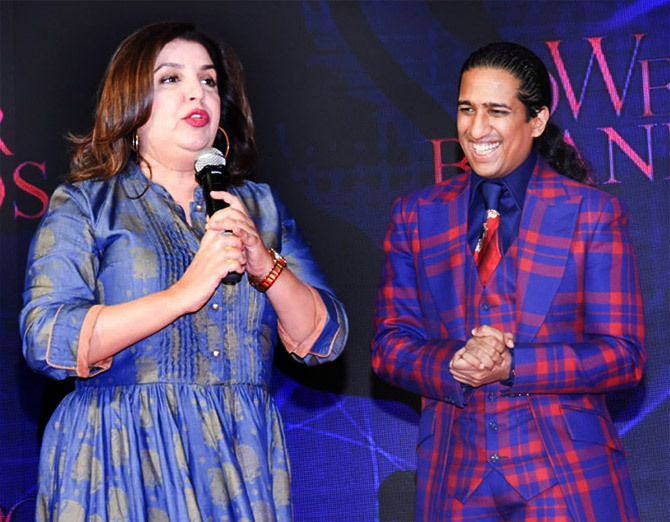 Badhaai Ho director Amit Sharma and its actors, Neena Gupta and Gajraj Rao received the awards for Best Feature Film, Best Supporting Actress and Best Supporting Actor. 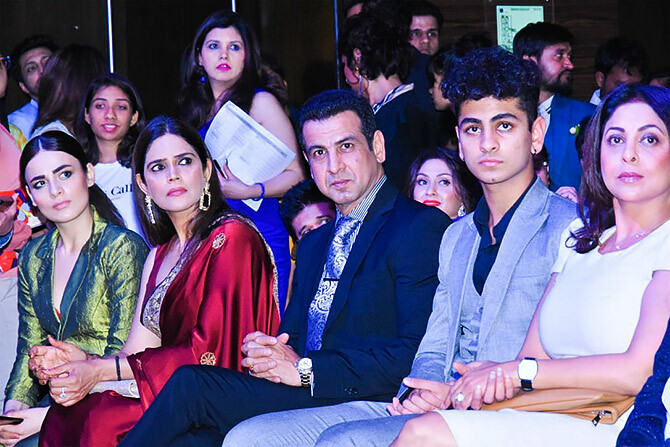 Radhika Madan, Neelam Roy, Ronit Roy and Shefali Shah. 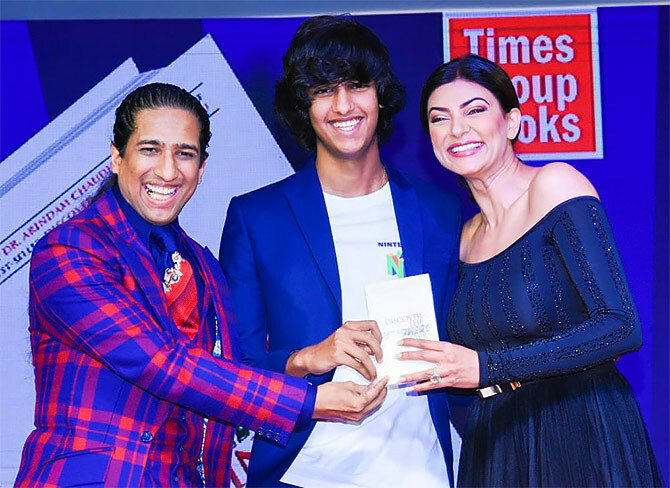 Sushmita Sen launched Discover The Superhero In You by 18-year-old Che Kabir Chaudhuri. 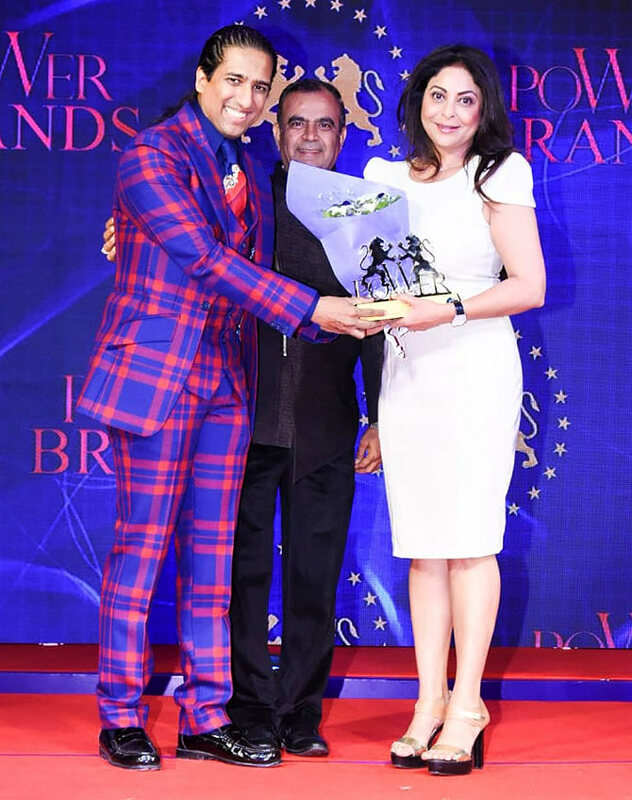 The book, which is about life lessons from superhero films and comics, was launched by Sushmita Sen.
Manjari Fadnis with Guru Randhawa, who launched the coffee table book, Bollywood Power Brands, written by Rajita Chaudhuri and Arindam Chaudhuri. Sriram Raghvan won Best Director award for Andhadhun. 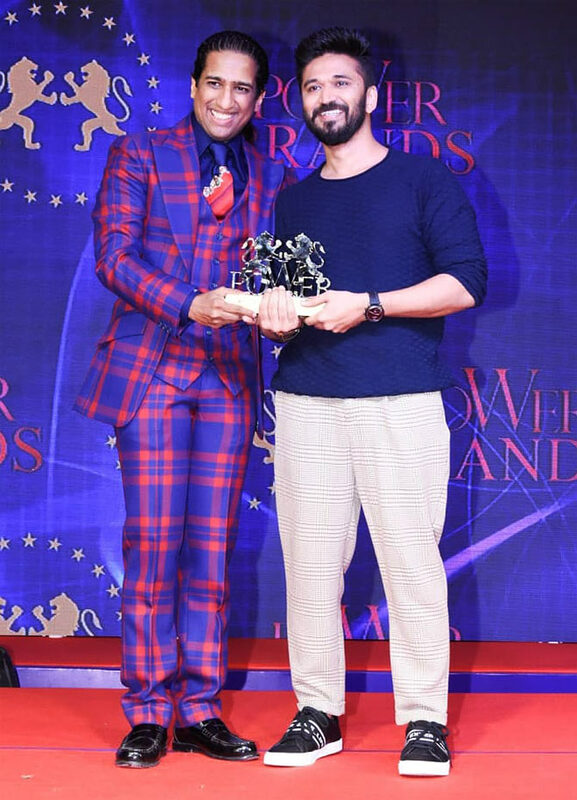 Amit Trivedi received best Music Director award for Andhadhun.